Below is the text of my presentation at the 2013 MLA Convention in Boston. The panel was Reading the Invisible and Unwanted in Old and New Media, and it was assembled by Lori Emerson, Paul Benzon, Zach Whalen, and myself. Seeking to have a rich discussion period—which we did indeed have—we limited our talks to about 12 minutes each. My presentation was therefore more evocative than comprehensive, more open-ended than conclusive. There are primary sources I’m still searching for and technical details I’m still sorting out. I welcome feedback, criticism, and leads. Randomness has a rich history in arts and literature, which I don’t need to go into today. 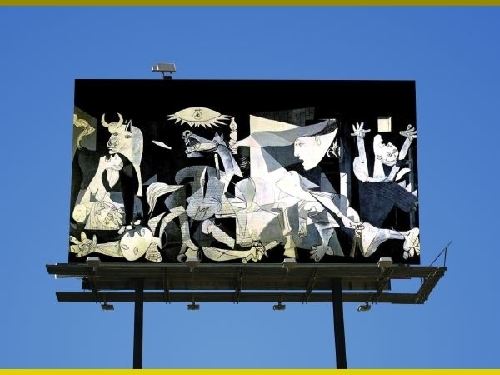 Suffice it to say that long before Tristan Tzara suggested writing a poem by pulling words out of a hat, artists, composers, and writers have used so-called “chance operations” to create unpredictable, provocative, and occasionally nonsensical work. 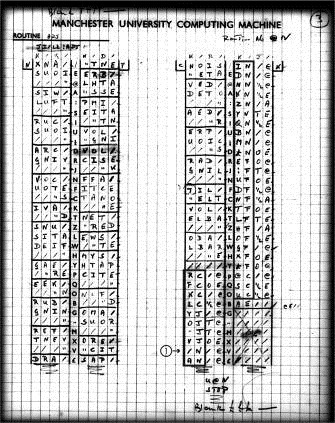 John Cage famously used chance operations in his experimental compositions, relying on lists of random numbers from Bell Labs to determine elements like pitch, amplitude, and duration (Holmes 107–108). 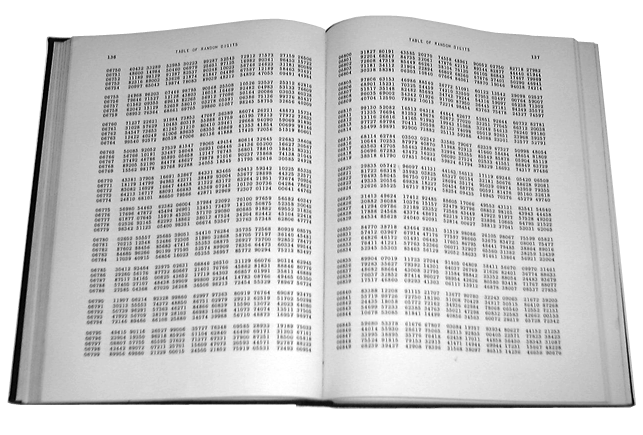 Jackson Mac Low similarly used random numbers to generate his poetry, in particular relying on a book called A Million Random Digits with 100,000 Normal Deviates to supply him with the random numbers (Zweig 85). This joke actually speaks to a key aspect of randomness: the need to reuse random numbers, so that, say you’re running a simulation of nuclear fission, you can repeat the simulation with the same random numbers—that is, the same probability—while testing some other variable. In fact, most of the early work on random number generation in the United States was funded by either the U.S. Atomic Commission or the U.S. Military (Montfort et al. 128). The RAND Corporation itself began as a research and development arm of the U.S. Air Force. Now the thing with going down a list of random numbers in a book, or pulling words out of hat—a composition method, by the way, Thom Yorke used for Kid A after a frustrating bout of writer’s block—is that the process is visible. Randomness in these cases produces surprises, but the source itself of randomness is not a surprise. You can see how it’s done. What I want to ask here today is, where does randomness come from when it’s invisible? What’s the digital equivalent of pulling words out of a hat? And what are the implications of chance operations performed by a machine? To begin to answer these questions I am going to look at two early works of electronic literature that rely on chance operations. And when I say early works of electronic literature, I mean early, from fifty and sixty years ago. One of these works has been well studied and the other has been all but forgotten. Affectionately known as M.U.C., the Manchester University Computer could produce these love letters at a pace of one per minute, for hours on end, without producing a duplicate. The “trick,” as Strachey put it in a 1954 essay about the program (29-30), is its two template sentences (My adjective noun adverb verb your adjective noun and You are my adjective noun) in which the nouns, adjectives, and adverbs are randomly selected from a list of words Strachey had culled from a Roget’s thesaurus. Adverbs and adjectives randomly drop out of the sentence as well, and the computer randomly alternates the two sentences. 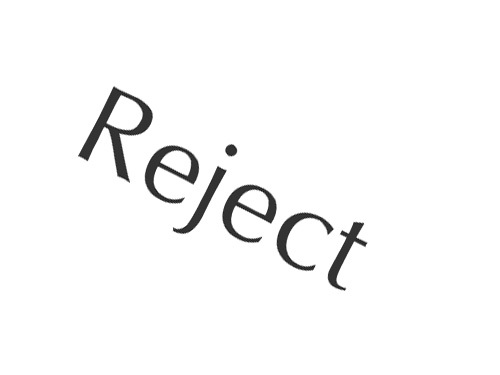 The Love Letter Generator has attracted—for a work of electronic literature—a great deal of scholarly attention. Using Strachey’s original notes and source code (see figure to the left), which are archived at the Bodleian Library at the University of Oxford, David Link has built an emulator that runs Strachey’s program, and Noah Wardrip-Fruin has written a masterful study of both the generator and its historical context. As Wardrip-Fruin calculates, given that there are 31 possible adjectives after the first sentence’s opening possessive pronoun “My” and then 20 possible nouns that could that could occupy the following slot, the first three words of this sentence alone have 899 possibilities. And the entire sentence has over 424 million combinations (424,305,525 to be precise) (“Digital Media” 311). On the whole, Strachey was publicly dismissive of his foray into the literary use of computers. 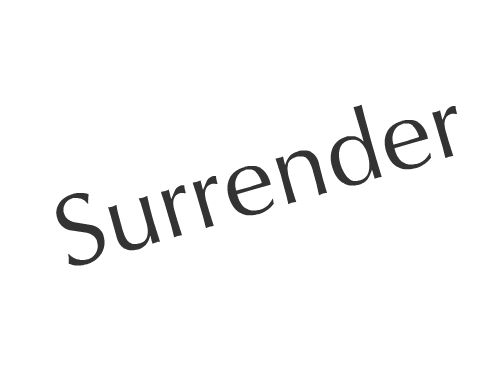 In his 1954 essay, which appeared in the prestigious trans-Atlantic arts and culture journal Encounter (a journal, it would be revealed in the late 1960s, that was primarily funded by the CIA—see Berry, 1993), Strachey used the example of the love letters to illustrate his point that simple rules can generate diverse and unexpected results (Strachey 29-30). And indeed, the Love Letter Generator qualifies as an early example of what Wardrip-Fruin calls, referring to a different work entirely, the Tale-Spin effect: a surface illusion of simplicity which hides a much more complicated—and often more interesting—series of internal processes (Expressive Processing 122). Henry Ant was thirsty. He walked over to the river bank where his good friend Bill Bird was sitting. Henry slipped and fell in the river. He was unable to call for help. He drowned. But even in these suggestive cases, the narratives give no sense of the process-intensive—to borrow from Chris Crawford—calculations and assumptions occurring behind the interface of Tale-Spin. In a similar fashion, no single love letter reveals the combinatory procedures at work by the Mark I computer. MY AFFECTION LUSTS FOR YOUR TENDERNESS. YOU ARE MY PASSIONATE DEVOTION: MY WISTFUL TENDERNESS. 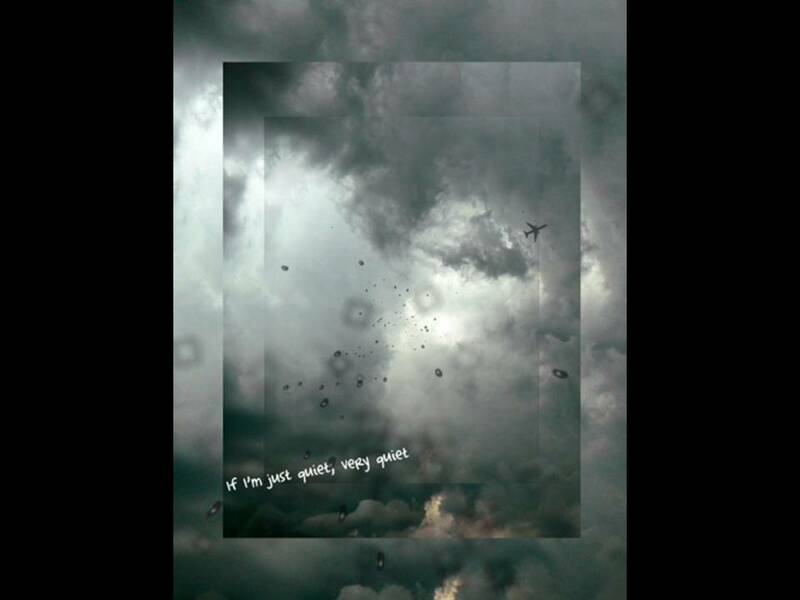 MY LIKING WOOS YOUR DEVOTION. MY APPETITE ARDENTLY TREASURES YOUR FERVENT HUNGER. This Tale-Spin effect—the underlying processes obscured by the seemingly simplistic, even comical surface text—are what draw Wardrip-Fruin to the work. But I want to go deeper than the algorithmic process that can produce hundreds of millions of possible love letters. I want to know, what is the source of randomness in the algorithm? We know Strachey’s program employs randomness, but where does that randomness come from? This is something the program—the source code itself—cannot tell us, because randomness operates at a different level, not at the level of code or software, but in the machine itself, at the level of hardware. In the case of Strachey’s Love Letter Generator, we must consider the computer it was designed for, the Mark I. One of the remarkable features of this computer was that it had a hardware-based random number generator. The random number generator pulled a string of random numbers from what Turing called “resistance noise”—that is, electrical signals produced by the physical functioning of the machine itself—and put the twenty least significant digits of this number into the Mark I’s accumulator—its primary mathematical engine (Turing). Alan Turing himself specifically requested this feature, having theorized with his earlier Turing Machine that a purely logical machine could not produce randomness (Shiner). And Turing knew—like his Cold War counterparts in the United States—that random numbers were crucial for any kind of statistical modeling of nuclear fission. I have more to say about randomness in the Strachey Love Letter Generator, but before I do, I want to move to my second case study. This is an early, largely unheralded work called SAGA. SAGA was a script-writing program on the TX-0 computer. The TX-0 was the first computer to replace vacuum tubes with transistors and also the first to use interactive graphics—it even had a light pen. The TX-0 was built at Lincoln Laboratory in 1956—a classified MIT facility in Bedford, Massachusetts chartered with the mission of designing the nation’s first air defense detection system. 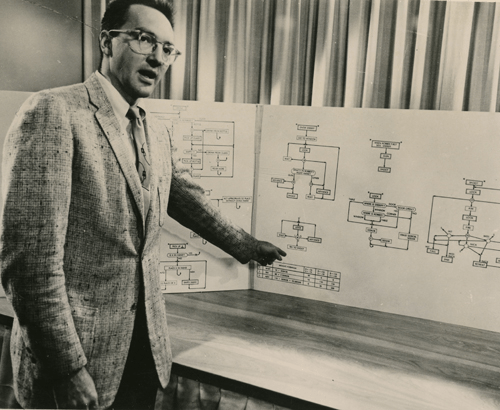 After TX-0 proved that transistors could out-perform and outlast vacuum tubes, the computer was transferred to MIT’s Research Laboratory of Electronics in 1958 (McKenzie), where it became a kind of playground for the first generation of hackers (Levy 29-30). 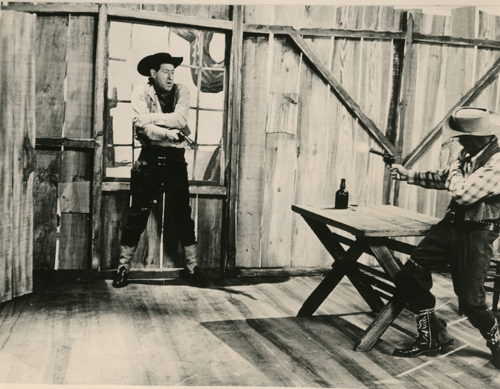 In 1960, CBS broadcast an hour-long special about computers called “The Thinking Machine.” For the show MIT engineers Douglas Ross and Harrison Morse wrote a 13,000 line program in six weeks that generated a climactic shoot-out scene from a Western. The TX-0’s large—for the time period—magnetic core memory was used “to keep track of everything down to the actors’ hands.” As Ross explained it, “The logic choreographed the movement of each object, hands, guns, glasses, doors, etc.” (“Highlights from the Computer Museum Report”). In the CBS broadcast, Ross explained the narrative sequence as a series of forking paths. Each “run” of SAGA was defined by sixteen initial state variables, with each state having several weighted branches (Ross 2). 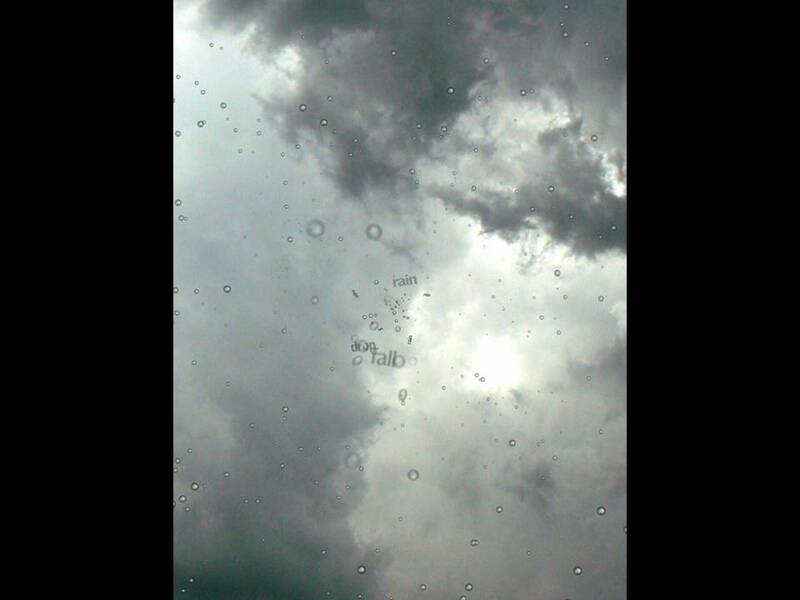 For example, one of the initial settings is who sees whom first. Does the sheriff see the robber first or is it the other way around? 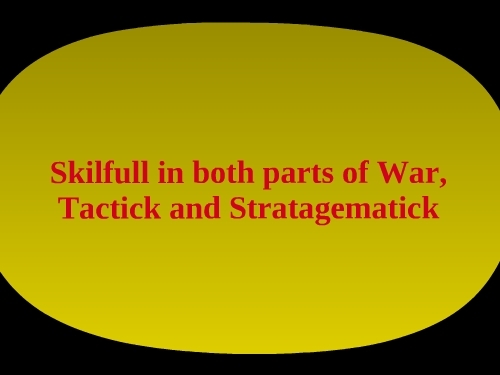 This variable will influence who shoots first as well. There’s also a variable the programmers called the “inebriation factor,” which increases a bit with every shot of whiskey, and doubles for every swig straight from the bottle. The more the robber drinks, the less logical he will be. In short, every possibility has its own likely consequence, measured in terms of probability. But more revealing to us is the procedure itself of writing one of these Western playlets. 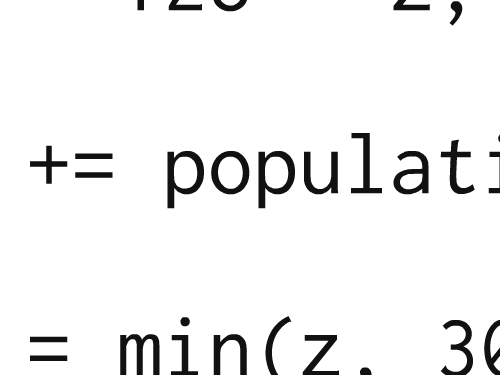 First, a random number was set; this number determined the probability of the various weighted branches. The programmers did this simply by typing a number following the RUN command when they launched SAGA; you can see this in the second slide above, where the random number is 51455. Next a timing number established how long the robber is alone before the sheriff arrives (the longer the robber is alone, the more likely he’ll drink). Finally each state variable is read, and the outcome—or branch—of each step is determined. What I want to call your attention to is how the random number is not generated by the machine. It is entered in “by hand” when one “runs” the program. In fact, launching SAGA with the same random number and the same switch settings will reproduce a play exactly (Ross 2). In a foundational work in 1996 called The Virtual Muse Charles Hartman observed that randomness “has always been the main contribution that computers have made to the writing of poetry”—and one might be tempted to add, to electronic literature in general (Hartman 30). Yet the two case studies I have presented today complicate this notion. The Strachey Love Letter Generator would appear to exemplify the use of randomness in electronic literature. But—and I didn’t say this earlier—the random numbers generated by the Mark I’s method tended not to be reliably random enough; remember, random numbers often need to be reused, so that the programs that run them can be repeated. This is called pseudo-randomness. This is why books like the RAND Corporation’s A Million Random Digits is so valuable. But the Mark I’s random numbers were so unreliable that they made debugging programs difficult, because errors never occurred the same way twice. The random number instruction eventually fell out of use on the machine (Campbell-Kelly 136). Skip ahead 8 years to the TX-0 and we find a computer that doesn’t even have a random number generator. The random numbers must be entered manually. The examples of the Love Letters and SAGA suggest at least two things about the source of randomness in literary computing. One, there is a social-historical source; wherever you look at randomness in early computing, the Cold War is there. The impact of the Cold War upon computing and videogames has been well-documented (see, for example Edwards, 1996 and Crogan, 2011), but few have studied how deeply embedded the Cold War is in the software algorithms and hardware processes themselves of modern computing. Second, randomness does not have a progressive timeline. The story of randomness in computing—and especially in literary computing—is neither straightforward nor self-evident. Its history is uneven, contested, and mostly invisible. So that even when we understand the concept of randomness in electronic literature—and new media in general—we often misapprehend its source. Bennett, Deborah. Randomness. Cambridge, MA: Harvard University Press, 1998. Print. Berry, Neil. 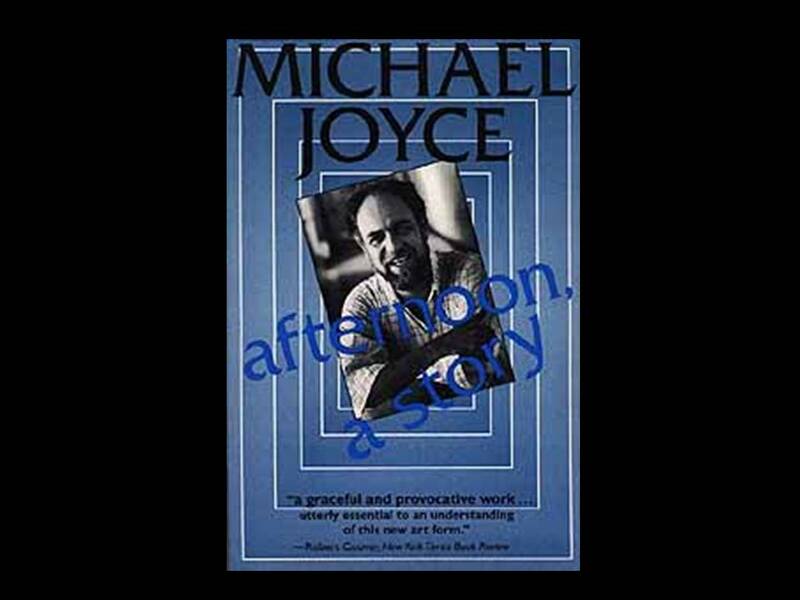 “Encounter.” Antioch Review 51.2 (1993): 194. Print. Crogan, Patrick. 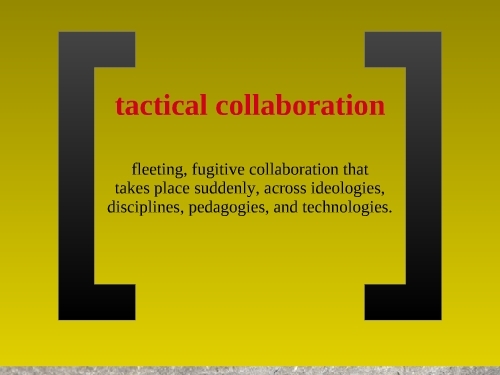 Gameplay Mode: War, Simulation, and Technoculture. Minneapolis: University of Minnesota Press, 2011. Print. Edwards, Paul N. The Closed World: Computers and the Politics of Discourse in Cold War America. Cambridge, MA: MIT Press, 1996. Print. Hartman, Charles O. Virtual Muse: Experiments in Computer Poetry. Hanover, NH: Wesleyan University Press, 1996. Print. “Highlights from the Computer Museum Report.” Spring 1984. Web. 23 Dec. 2012. Holmes, Thomas B. Electronic and Experimental Music: A History of a New Sound. Psychology Press, 2002. Print. Levy, Steven. Hackers: Heroes of the Computer Revolution. Sebastopol, CA: O’Reilly Media, 2010. Print. McKenzie, John A. “TX-0 Computer History.” 1 Oct. 1974. Web. 20 Dec. 2012. Montfort, Nick et al. 10 PRINT CHR$(205.5+RND(1)); : GOTO 10. Cambridge, MA: MIT Press, 2013. Print. Ross, D.T. “Memorandum 8436-M-29: Preliminary Operating Notes for SAGA II.” 19 Oct. 1960. 20 Dec. 2012. <http://bitsavers.trailing-edge.com/pdf/mit/tx-0/memos/Morse_SAGAII_Oct60.pdf>. Shiner, Jeff. “Alan Turing’s Contribution Can’t Be Computed.” Agile Blog. 29 Dec. 2012. <http://blog.agilebits.com/2012/12/08/alan-turings-contribution-cant-be-computed/>. Strachey, Christopher. “The ‘Thinking’ Machine.” Encounter III.4 (1954) : 25–31. Print. Turing, A.M. “Programmers’ Handbook for the Manchester Electronic Computer Mark II.” Oct. 1952. Web. 23 Dec. 2012. 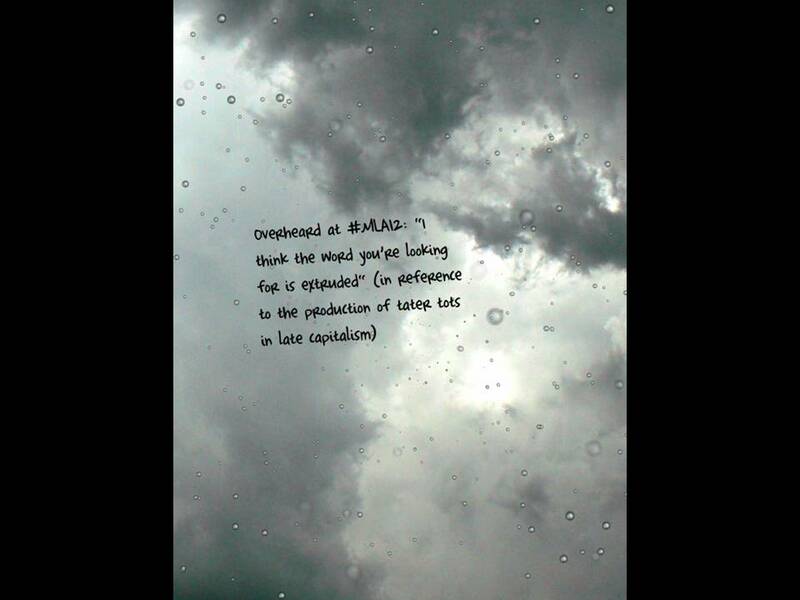 Wardrip-Fruin, Noah. “Digital Media Archaeology: Interpreting Computational Processes.” Media Archaeology: Approaches, Applications, and Implications. Ed by. Erkki Huhtamo & Jussi Parikka. Berkeley, California: University of California Press, 2011. Print. —. Expressive Processing: Digital Fictions, Computer Games, and Software Sudies. MIT Press, 2009. Print. Zweig, Ellen. 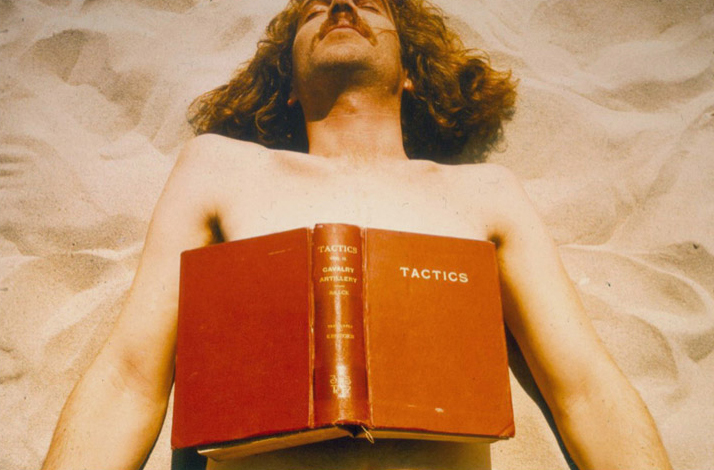 “Jackson Mac Low: The Limits of Formalism.” Poetics Today 3.3 (1982): 79–86. Web. 1 Jan. 2013. Being, On. Alan Turing and the Mark 1. 2010. 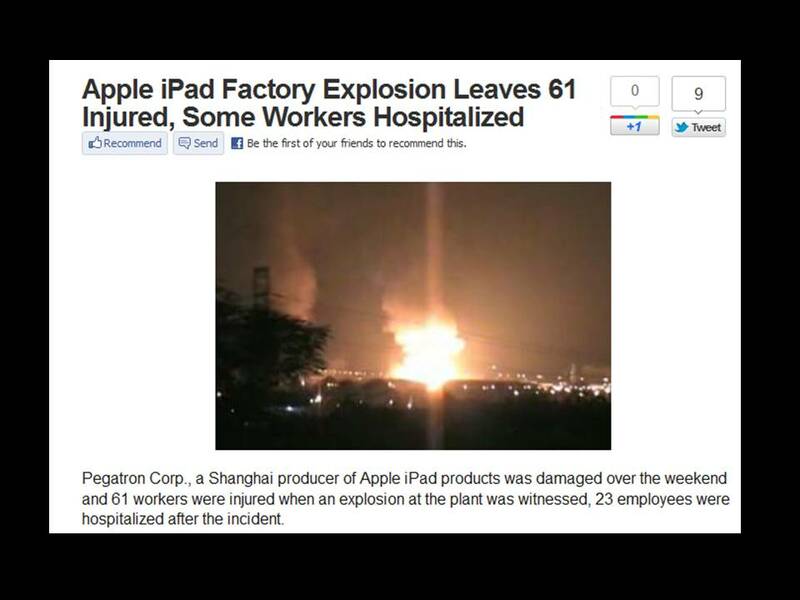 24 Dec. 2012. <http://www.flickr.com/photos/speakingoffaith/4422523721/>. A Million Random Digits with 100,000 Normal Deviates. Courtesy of Casey Reas and10 PRINT CHR$(205.5+RND(1));: GOTO 10. Cambridge, Mass. : MIT Press, 2013. 129. “Ferranti Mark 1 Sales Literature.” 24 Dec. 2012. <http://www.computer50.org/kgill/mark1/sale.html>. Image of Love Letter Source code courtesy of Link, David. “There Must Be an Angel: On the Beginnings of the Arithmetics of Rays.” 2006. 23 Dec. 2012. 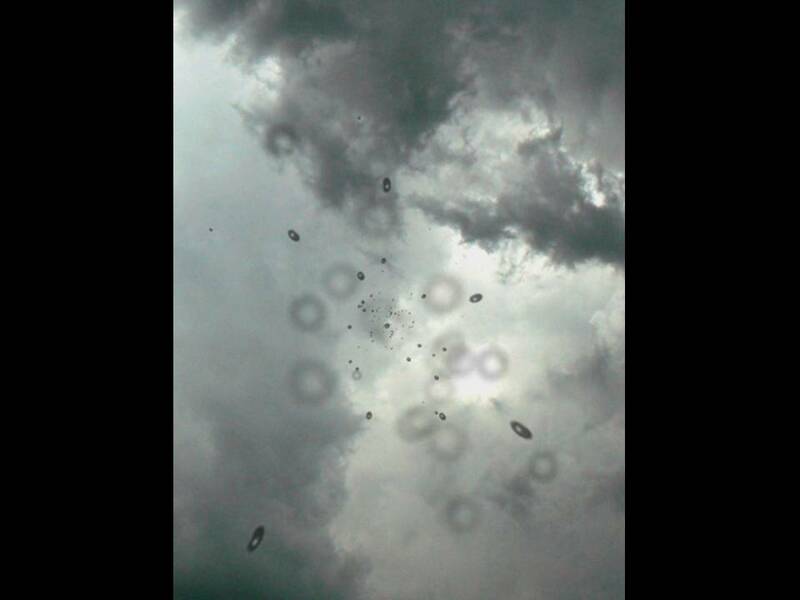 <http://alpha60.de/research/muc/DavidLink_RadarAngels_EN.htm>. 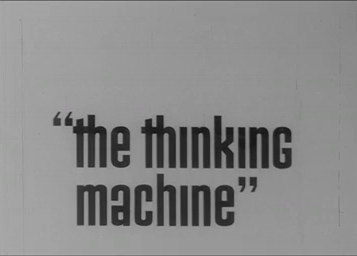 Still Image from “The Thinking Machine.” CBS, October 26, 1960. <http://techtv.mit.edu/videos/10268-the-thinking-machine-1961—mit-centennial-film>. Western Drama Written by TX-0. 1960. Computer History Museum. Web. 20 Dec. 2012. <http://www.computerhistory.org/collections/accession/102631242>. SAGA Printout from Pfeiffer, John E. The Thinking Machine. Philadelphia: Lippincott, 1962. 132. Print. Doug Ross Explaining TX-0 Program in the Film “The Thinking Machine.” 1960. Computer History Museum. Web. 20 Dec. 2012. <http://www.computerhistory.org/collections/accession/102631241>. What follows is a comprehensive list of digital humanities sessions at the 2013 Modern Language Association Conference in Boston. These are sessions that in some way address the influence and impact of digital materials and tools upon language, literary, textual, and media studies, as well as upon online pedagogy and scholarly communication. The 2013 list stands at 66 sessions, a slight increase from 58 sessions in 2012 (and 44 in 2011, and only 27 the year before). Perhaps the incremental increase this year means that the digital humanities presence at the convention is topping out, leveling out at 8% of the 795 total sessions. Or maybe it’s an indicator of growing resistance to what some see as the hegemony of digital humanities. Or it could be that I simply missed some sessions—if so, please correct me in the comments and I’ll add the session to the list. In addition to events on the official program, there’s also a pre-convention workshop, Getting Started in the Digital Humanities with DHCommons (registration is now closed for this, alas) and a Technology and Humanities “unconference” (registration still open). And I’ll also highly recommend the Electronic Literature Exhibit, in the Exhibit Hall. One final note: the title of each panel links back to its official description in the convention program, which occasionally includes supplemental material uploaded by panel participants. This workshop is an "unconference" on digital pedagogy. Unconferences are participant-driven gatherings where attendees spontaneously generate the itinerary. Participants will propose discussion topics in advance on our Web site, voting on final sessions at the workshop’s start. Attendees will consider what they would like to learn and instruct others about teaching with technology. Preregistration required. Presiding: Alison Byerly, Middlebury Coll. ; Kathleen Fitzpatrick, MLA; Katherine A. Rowe, Bryn Mawr Coll. Facilitated discussion about evaluating work in digital media (e.g., scholarly editions, databases, digital mapping projects, born-digital creative or scholarly work). Designed for both creators of digital materials and administrators or colleagues who evaluate those materials, the workshop will propose strategies for documenting, presenting, and evaluating such work. Preregistration required. Presiding: Jude V. Nixon, Salem State Univ. "The Collected Works of Elizabeth Barrett Browning: Print Editions, Digital Surrounds, and Preservation," Sandra M. Donaldson, Univ. of North Dakota; Marjorie I. Stone, Dalhousie Univ. "The Novels of Sutton E. Griggs: A Critical Edition," Tess Chakkalakal, Bowdoin Coll. "Editing Henry James in the Digital Age," Pierre A. Walker, Salem State Univ. Presiding: Trent M. Kays, Univ. of Minnesota, Twin Cities; Lee Skallerup Bessette, Morehead State Univ. Digital humanities are often seen to be a monolith, as shown in recent publications that focus almost exclusively on the United States and English-language projects. This roundtable will bring together digital humanities scholars from seemingly disparate disciplines to show how bridges can be built among languages, cultures, and geographic regions in and through digital humanities. "Tom McCarthy’s Prehistory of Media," Aaron S. Worth, Boston Univ. "Bandes dessinées téléchargeables: Un nouveau moyen de mesurer la diffusion de la langue française au 21ème siècle," Henri-Simon Blanc-Hoang, Defense Lang. Inst. "Español Two Hundred: Bridging Medium, Collaboration, and Communities of Practice," Adolfo Carrillo Cabello, Iowa State Univ. ; Cristina Pardo Ballester, Iowa State Univ. Presiding: Nate Kreuter, Western Carolina Univ. "Hope and Habit(u)s?" Victor J. Vitanza, Clemson Univ. Presiding: Cynthia R. Port, Coastal Carolina Univ. "Aging as Obsolescence: Remediating Old Narratives in a New Age," Erin Lamb, Hiram Coll. "Typewriters to Tweeters: Women, Aging, and Technological Literacy," Lauren Marshall Bowen, Michigan Technological Univ. "The New Obsolescence of New Media: Political Affect and Retrotechnologies," Jen Boyle, Coastal Carolina Univ. Presiding: Shelley Fisher Fishkin, Stanford Univ. "Living Word," Corrie Claiborne, Morehouse Coll. "Hip-Hop Archives," Marcyliena Morgan, Harvard Univ. Speakers: Susan Cook, Southern New Hampshire Univ. ; Christopher Dickman, Saint Louis Univ. ; T. Geiger, Syracuse Univ. ; Jennifer Gray; Matthew Parfitt, Boston Univ. ; James Sanchez, Texas Christian Univ. Nicholas Carr’s 2008 article "Is Google Making Us Stupid?" and his 2010 book The Shallows: What the Internet Is Doing to Our Brains argue that the paradigms of our digital lives have shifted significantly in two decades of living life online. This roundtable unites teachers of composition and literature to explore cultural, psychological, and developmental changes for students and teachers. Presiding: Tim Cassedy, Southern Methodist Univ. Speakers: Robin Bernstein, Harvard Univ. ; Lindsay DiCuirci, Univ. of Maryland Baltimore County; Laura Fisher, New York Univ. ; Laurie Lambert, New York Univ. ; Janice A. Radway, Northwestern Univ. ; Joseph Rezek, Boston Univ. Archivally driven research is changing the methodologies with which we approach the past, the types of questions that we can ask and answer, and the historical voices that are heard and suppressed. The session will address the role of archives, both digital and material, in literary and cultural studies. What risks and rewards do we need to be aware of when we use them? "An Account of Randomness in Literary Computing," Mark Sample, George Mason Univ. Presiding: Greg Barnhisel, Duquesne Univ. "Printed Books, Digital Poetics, and the Aesthetic of Bookishness," Jessica Pressman, Yale Univ. Presiding: Andrew Piper, McGill Univ. Speakers: Mark Algee-Hewitt, Stanford Univ. ; Lindsey Eckert, Univ. of Toronto; Neil Fraistat, Univ. of Maryland, College Park; Matthew Jockers, Univ. of Nebraska, Lincoln; Laura C. Mandell, Texas A&M Univ., College Station; Jeffrey Thompson Schnapp, Harvard Univ. As part of the ongoing debate about the impact and efficacy of the digital humanities, this roundtable will explore the theoretical, practical, and political implications of the rise of the literary lab. How will changes in the materiality and spatiality of our research and writing change the nature of that research? How will the literary lab impact the way we work? "Occupy Theory: Tahrir and Global Occupy Two Years After," Nicholas Mirzoeff, New York Univ. Speakers: Douglas M. Armato, Univ. of Minnesota Press; Jamie Skye Bianco, Univ. of Pittsburgh; Matthew K. Gold, New York City Coll. of Tech., City Univ. of New York; Jennifer Laherty, Indiana Univ., Bloomington; Monica McCormick, New York Univ. ; Katie Rawson, Emory Univ. As open-access scholarly publishing matures and movements such as the Elsevier boycott continue to grow, open-access publications have begun to move beyond the simple (but crucial) principle of openness toward an ideal of interactivity. This session will explore innovative examples of open-access scholarly publishing that showcase new types of social, interactive, mixed-media texts. In this roundtable, scholars of manuscripts, print, and digital media will discuss how contemporary forms of textuality intersect with, duplicate, extend, or draw on manuscript technologies. Panelists seek to push the discussion beyond traditional notions of supersession or remediation to consider the relevance of past textual practices in our analyses of emergent ones. "The Promise of Humanities Practice," Lynn Pasquerella, Mount Holyoke Coll. Responding: Alondra Nelson, Columbia Univ. This panel examines the politics of race, ethnicity, and silence in the digital humanities. How has the digital humanities remained silent on issues of race and ethnicity? How does this silence reinforce unspoken assumptions and doxa? 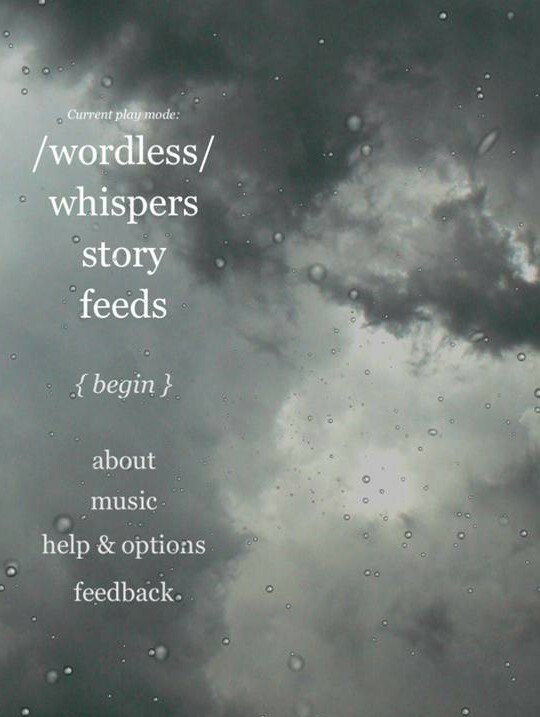 What is the function of racialized silences in digital archival projects? Working only with set texts limits the use of many digital tools. What most advances literary research: aiming applications at scholarly primitives or at more culturally embedded activities that may resist generalization? Panelists’ reflections on the challenges of interoperability in a methodologically diverse field will include project snapshots evaluating the potential or perils of such aims. This workshop will highlight recent awards and outline current funding opportunities. In addition to emphasizing grant programs that support individual and collaborative research and education, the workshop will include information on the NEH’s Office of Digital Humanities. A question-and-answer period will follow. This roundtable explores the impact of digital humanities on research and teaching in higher education and the question of how digital humanities will affect the future of the humanities in general. Speakers will offer models of digital humanities that are not rooted in technocratic rationality or neoliberal economic calculus but that emerge from and inform traditional practices of humanist inquiry. Responding: Timothy L. Stinson, North Carolina State Univ. This panel explores the resistance of editors to explore digital editions. Questions posed: Do scholarly protocols deliberately resist computational methodologies? Or are we still in a liminal period where print predominates for lack of training in the new technology? Does the problem lie with a failure to encourage digital research by younger scholars? "Touching Apocalypse: Influence and Influenza in the Digital Age," Daniel Allen Shore, Georgetown Univ. "Occom, Archives, and the Digital Humanities," Ivy Schweitzer, Dartmouth Coll. "Access Demands a Paradigm Shift," Cathy N. Davidson, Duke Univ. The news that digital humanities are the next big thing must come as a pleasant surprise to people who have been working in the field for decades. Yet only recently has the scholarly community at large realized that developments in new media have implications not only for the form but also for the content of scholarly communication. This session will explore some of those implications—for scholars, for libraries, for journals, and for the idea of intellectual property. "Playful Aesthetics," Mary Flanagan, Dartmouth Coll. "Acoustemologies of the Closet: The Wizard, the Troll, and the Fortress," William Cheng, Harvard Univ. "’Machete Don’t Text’: Robert Rodriguez’s Media Ecologies," William Orchard, Colby Coll. Presiding: Russell A. Berman, Stanford Univ. Doctoral study faces multiple pressures, including profound transformations in higher education and the academic job market, changing conditions for new faculty members, the new media of scholarly communication, and placements in nonfaculty positions. These and other factors question the viability of conventional assumptions regarding doctoral education. Presiding: Alan Galey, Univ. of Toronto; Katherine D. Harris, San José State Univ. "Digital Humanities and the Separation of Access, Ownership, and Reading," Zachary Zimmer, Virginia Polytechnic Inst. and State Univ. Presiding: Peter S. Donaldson, Massachusetts Inst. of Tech. 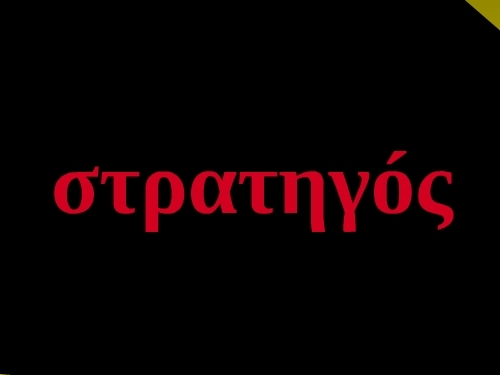 Global Shakespeares (globalshakespeares.org/) is a participatory multicentric project providing free online access to performances of Shakespeare from many parts of the world. The session features presentations and free lab tours of the MIT HyperStudio. "Being and Time Management," Mark McGurl, Stanford Univ. "The Case against Audiobooks," Matthew Rubery, Univ. of London, Queen Mary Coll. Presiding: Ryan Cordell, Northeastern Univ. ; Katherine Singer, Mount Holyoke Coll. Speakers: Gert Buelens, Ghent Univ. ; Sheila T. Cavanagh, Emory Univ. ; Malcolm Alan Compitello, Univ. of Arizona; Gabriel Hankins, Univ. of Virginia; Alexander C. Y. Huang, George Washington Univ. ; Kevin Quarmby, Emory Univ. ; Lynn Ramey, Vanderbilt Univ. ; Matthew Schultz, Vassar Coll. This digital roundtable aims to give insight into challenges and opportunities for new digital humanists. Instead of presenting polished projects, panelists will share their experiences as developing DH practitioners working through research and pedagogical obstacles. Each participant will present lightning talks and then discuss the projects in more detail at individual tables. "Curating Confession: The Intersection of Communicative Capitalism and Autobiography Online," Anna Poletti, Monash Univ. 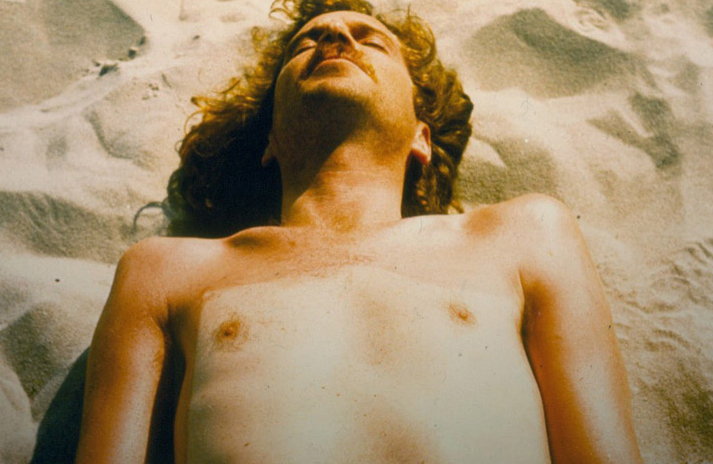 "Archive of Addiction: Augusten Burroughs’s Dry: In Pictures," Nicole M. Stamant, Agnes Scott Coll. Presiding: Elissa Marder, Emory Univ. "Gangs of New York: Fetishizing the Archive, from Benjamin to Scorsese," Melissa Tuckman, Princeton Univ. "Pocket Wireless and the Shape of Media to Come, 1899–1920," Grant Wythoff, Princeton Univ. Speakers: Lois Bacon, EBSCO; Marshall J. Brown, Univ. of Washington, Seattle; Stuart Alexander Day, Univ. of Kansas; Judy Luther, Informed Strategies; Dana D. Nelson, Vanderbilt Univ. ; Joseph Paul Tabbi, Univ. of Illinois, Chicago; Bonnie Wheeler, Southern Methodist Univ. Changes are happening to the scholarly journal, a fundamental institution of our professional life. New modes of communication open promising possibilities, even as financial challenges to print media and education make this time difficult. A panel of editors, publishers, and librarians will address these topics, carrying forward a discussion begun at the 2012 Delegate Assembly meeting. Presiding: Brian Croxall, Emory Univ. Speakers: Evelyn Baldwin, Univ. of Arkansas, Fayetteville; Mikhail Gershovich, Baruch Coll., City Univ. of New York; Janice McCoy, Univ. of Virginia; Ilknur Oded, Defense Lang. Inst. ; Amanda Phillips, Univ. of California, Santa Barbara; Anastasia Salter, Univ. of Baltimore; Elizabeth Swanstrom, Florida Atlantic Univ. 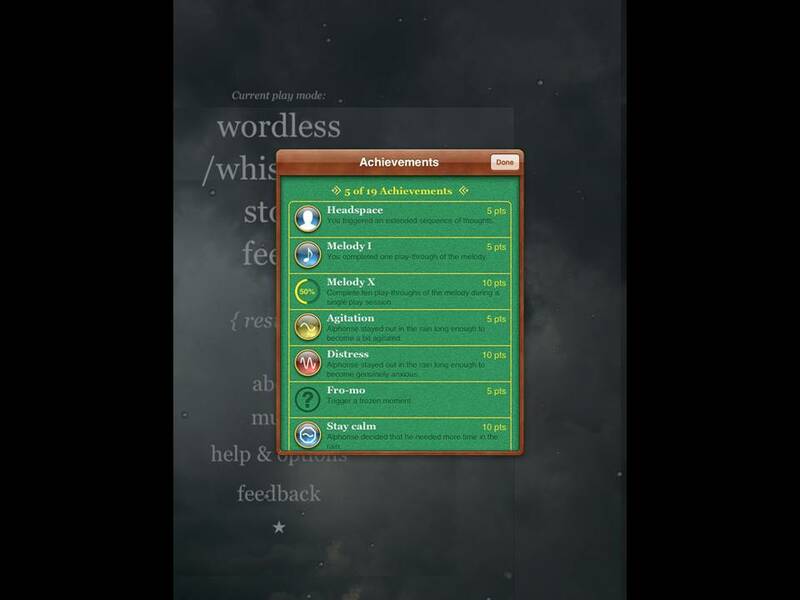 This electronic roundtable presents games not only as objects of study but also as methods for innovative pedagogy. Scholars will present on their use of board games, video games, authoring tools, and more for language acquisition, peer-to-peer relationship building, and exploring social justice. This hands-on, show-and-tell session highlights assignments attendees can implement. "Having Your Semantics and Formatting It Too: XML and the NVS," Julia H. Flanders, Brown Univ. This roundtable will explore renewed interest in Latin American archives—both traditional and digital—and the intellectual, political, and social implications for our research and teaching. Presenters will address how new technologies (digitalized collections, hypertext manuscripts, etc.) facilitate access to research and offer strategies for introducing students to a variety of materials. Presiding: Marta L. Werner, D’Youville Coll. This roundtable will present separate, yet unified, digital writings on laptops. Instead of making a diachronic set of presentations, we will make available a synchronic set, in an art e-gallery format, arranged separately on tables as conceptual art installations. The purpose is to demonstrate how digital technologies can reshape our views of presentations and of what is now called writings. Presiding: Paul Fyfe, Florida State Univ. ; Robert H. Kieft, Occidental Coll. This roundtable extends current conversations about reforming graduate training to a burgeoning field of disciplinary crossover and professionalization. Participants will introduce innovative training programs and collaborative projects at the intersections of modern language departments, digital humanities, and library schools or iSchools. "The Multisensory Classroom," Leeann Hunter, Georgia Inst. of Tech. Responding: Lisa Berglund, State Univ. of New York, Buffalo State Coll. "How I Met Your Argument: Teaching through Television," Lanta Davis, Baylor Univ. "Writing Wikipedia as Postmodern Research Assignment," Matthew Parfitt, Boston Univ. Presiding: Roger Whitson, Emory Univ. Speakers: David Kim, Univ. of California, Los Angeles; Jennifer Sano-Franchini, Michigan State Univ. ; Lee Skallerup Bessette, Morehead State Univ. This roundtable addresses how applications and interfaces encode specific cultural assumptions about race and preclude certain groups of people from participating in the digital humanities. Participants present specific digital humanities projects that illustrate the impact of race on access to the programming, cultural, and funding structures in the digital humanities. This roundtable seeks to query precisely what data can be and do in a humanities context. Charting the migration from individual project to scalable data set, we explore “big data” not simply as a matter of size or number but as a process of granting researchers and educators access to shared information resources. Presiding: Jessica Pressman, American Council of Learned Socs. "Phonographic Reading Machines," Matthew Rubery, Univ. of London, Queen Mary Coll. "Mechanical Mediations of Miniature Text: Reading Microform," Katherine Wilson, Adelphi Univ. "Between Human and Machine, a Printed Sheet: The Early History of OCR (Optical Character Recognition)," Mara Mills, New York Univ. Presiding: Catherine Elizabeth Ingrassia, Virginia Commonwealth Univ. Consistent with the theme of open access, this roundtable explores limitations of proprietary digital archives and emergent alternatives. 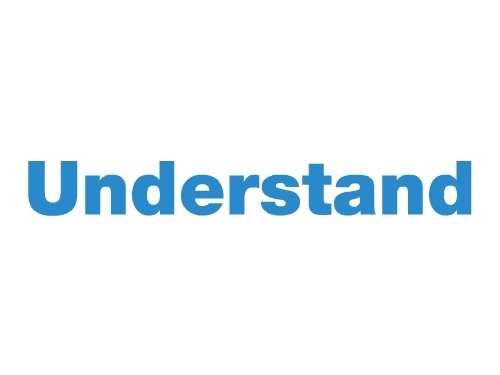 It will provide an interactive, engaged demonstration of 18thConnect; a historian’s perspective; discussion of British Virginia; and scholarly digital editions of seventeenth-century documents. This "master class" will focus on integrating two digital tools into the classroom to facilitate student-generated projects: Omeka, for the creation of archives and exhibits, and WordPress, for the creation of blogs and Web sites. We will discuss what kinds of assignments work with each tool, how to get started, and how to evaluate assignments. Bring a laptop (not a tablet) for hands-on work. As our profession seeks to understand electronic publishing, the emergence of middle-state publishing (e.g., blogs, Twitter) adds another layer of complexity to the issue. The roundtable participants will discuss their use of social media for scholarship and how middle-state publishing alters scholarly work and the ethical and professional concerns that arise. Speakers: Miranda Jane Burgess, Univ. of British Columbia; Mary Helen Dupree, Georgetown Univ. ; Kevis Goodman, Univ. of California, Berkeley; Yohei Igarashi; Celeste G. Langan, Univ. of California, Berkeley; Maureen Noelle McLane, New York Univ. ; Tom Mole, McGill Univ. A roundtable of scholars discusses and defines “Romantic media studies,” one of the most vibrant approaches to Romantic literature today. Spanning British, German, and transatlantic Romanticisms, the exchange considers Romantic-era media while reflecting on methods of reading for media, mediations, and networks as well as on the relation between Romantic criticism and the digital humanities. "What Should We Do with Our Games?" Stephanie Boluk, Vassar Coll. "Digitizing Pakistani Literary Forms; or, E/Merging the Transcultural," Waseem Anwar, Forman Christian Coll. Presiding: Paul Fyfe, Florida State Univ. This roundtable explores the urgent necessity of reforming graduate training in the humanities, particularly in the light of the opportunities afforded by digital platforms, collaborative work, and an expanded mission for graduates. Presenters include graduate students and faculty mentors who are creating the institutional and disciplinary conditions for renovated graduate curricula to succeed. "Analyzing Large Bibliographical Data Sets: A Case Study," David Lee Gants, Florida State Univ. "Networks, Narratives, and Nature: Teaching Globally, Thinking Nodally," Melanie J. Doherty, Wesleyan Coll. Presiding: Mark Sample, George Mason Univ. This roundtable considers the value and challenges of serial scholarship, that is, research published in serialized form online through a blog, forum, or other public venue. Each of the participants will give a lightning talk about his or her stance toward serial scholarship, while the bulk of the session time will be reserved for open discussion. "A Strategem for Using Online Courses to Deny Contingent Faculty Members Academic Freedom," Aaron Plasek, Colorado State Univ. Responding: Maria Shine Stewart, John Carroll Univ. Presiding: Anaïs Saint-Jude, Stanford Univ. "Teaching Modernism Traditionally and Digitally: What We May Learn from New Digital Tutoring Models by Khan Academy and Udacity," Petra Dierkes-Thrun, Stanford Univ. "Digital Resources and the Medieval-Literature Classroom," Robin Wharton, Georgia Inst. of Tech. "Toward a New Hybrid Pedagogy: Embodiment and Learning in the Classroom 2.0," Pete Rorabaugh, Georgia State Univ. ; Jesse Stommel, Marylhurst Univ. This is a comprehensive list of digital humanities sessions scheduled for the 2012 Modern Language Association Conference in Seattle, Washington. The 2012 list stands at 58 sessions, up from 44 last year (and 27 the year before). If the trend continues, within the decade it will no longer make sense to compile this list; it’ll be easier to list the sessions that don’t in some way relate in to the influence and impact of digital materials and tools upon language, literary, textual, and media studies. It’s possible I may have missed a session or two; if so, let me know in the comments and I’ll add the panel to the list. Note that there’s also a pre-convention Getting Started in the Digital Humanities with DHCommons workshop; but because this workshop is application-only, it does not appear in the official MLA program. You may also want to follow the MLA Tweetup Twitter account for updates on various spontaneous and planned meet-ups in Seattle. Projects looking for collaborators and collaborators looking for projects, come mix and mingle in this informal project poster session that offers a face-to-face DHCommons experience. Representatives from projects looking for collaborators or just wanting to get the word out will share information and materials about their projects. This forum will also offer great opportunities for one-on-one conversations about pursuing projects in the digital humanities. If you would like to share your project, please sign up here, but otherwise there is no need to register. This event is open to all MLA participants. The workshop will provide materials and facilitated discussion about evaluating work in digital media (e.g., scholarly editions, databases, digital mapping projects, born-digital creative or scholarly work). Designed for both creators of digital materials (candidates for tenure and promotion) and administrators or colleagues who evaluate those materials, the workshop will propose strategies for documenting, presenting, and evaluating such work. Preregistration required. For a prospectus, visit mh.cla.umn.edu/MLA2012.pdf. Aside from Google Books, the two principal repositories for digitized books are Open Library and HathiTrust Digital Library; Digital Public Library of America is now in its planning stage. What are the merits and prospects of these three projects? How can they be improved? What role should scholars play in their improvement? These questions will be addressed by participants in each project and by others experienced in the digital humanities. “Hundred Thousand Billion Fingers: Oulipian Games and Serial Players,” Patrick LeMieux Duke Univ. “Make Love, Not Warcraft: Virtual Worlds and Utopia,” Stephanie Boluk Vassar Coll. Responding: Victoria E. Szabo Duke Univ. “Making Online Peer Review Interactive: Sticky Notes and Highlighters,” Cheryl E. Ball, Illinois State Univ. “Social Networking, Jewish Identity, and New Jewish Ritual: Tattooed Jews on Facebook,” Erika Meitner Virginia Polytechnic Inst. and State Univ. This roundtable will consider how the categories of old books and new tools might illuminate each other. Speakers will provide individual reflections on their experiences with old books and new tools before opening up the conversation to the theoretical and practical concerns driving the use and interactions of the two. “Copyleft as Training Ground: The Digital Horizons of Intellectual Property,” Zachary Zimmer Virginia Polytechnic Inst. and State Univ. Presiding: Howard Rambsy Southern Illinois Univ. 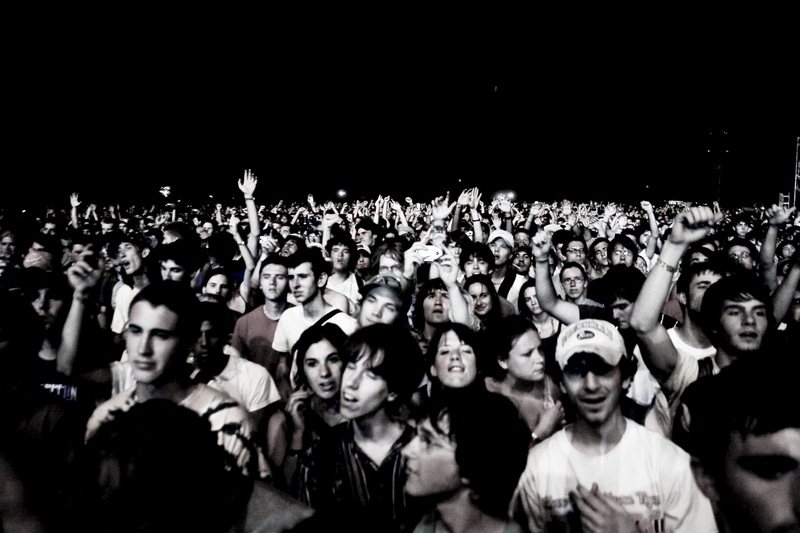 “How to Crowdsource Thinking,” Cathy N. Davidson Duke Univ. Scholars from the human, natural, and computational sciences will address the future of higher education in a digital age. They will identify problems in higher education today and provide recommendations for what is needed as we go forward. What pressure does this information age exert on the current ways we think about higher education? How does a conversation across the computational sciences and the humanities address, ease, or exacerbate that pressure? 87. Digital Literary Studies: When Will It End? Presiding: David A. Golumbia Virginia Commonwealth Univ. “Digital Literary Studies circa 1954: Lacan’s Machines and Shannon’s Minds,” Bernard Dionysius Geoghegan Northwestern Univ. “Tagging the Jasmine Revolution: Social Media and Graffiti in the Tunisian Uprising,” David Fieni Cornell Univ. For abstracts, write to klachman@llc.umass.edu. This roundtable has two goals: (1) to provide a forum for reflection on the first twenty years of the digital archive, especially as it relates to American materials, which might include consideration of what is still missing and of methodologies for making use of what is there now, and (2) to offer an opportunity for researchers who have become dependent on the archive to talk with major players in its production, in the hope of fostering new avenues for cooperation. “Toward a Rhetoric of Collaboration: An Online Resource for Teaching and Learning Research,” Jennifer Sano-Franchini Michigan State Univ. “Delivering Literary Studies in the Twenty-First Century: The Relevance of Online Pedagogies,” Kristine Blair, Bowling Green State Univ. Presiding: Kyra A. Kietrys Davidson Coll. For abstracts and Web links, write to kykietrys@davidson.edu. Demonstrations by Hispanists who use technology in their scholarship and teaching. The presenters include a graduate student; junior and senior Latin American, Peninsular, and comparativist colleagues whose work spans medieval to contemporary times; and an academic technologist. After brief presentations of the different digital tools, the audience will circulate among the stations to participate in interactive demonstrations. “Of Degraded Tongues and Digital Talk: Race and the Politics of Language,” Imani Perry, Princeton Univ. The forum addresses three fundamental points of orientation for our profession: language, in its various materialities; literature, broadly understood; and learning, especially student learning and our educational missions. The language and literature classroom has to serve the needs of today’s students. How do changing understandings of identity, performance, and media translate into transformations in teaching and learning? “Space, Place, and Image: Mapping Farm Securities Administration (FSA) Photographs and the Photogrammar Project,” Lauren Tilton Yale Univ. “Southern Spaces: The Development of a Digital Southern Studies Journal,” Frances Abbott Emory Univ. For abstracts, visit http://ach.org/ach-sessions-2012-mla-convention after 20 Dec.
“Mapping Editors,” Meg Roland, Marylhurst Univ. For abstracts, visit briancroxall.net/buildingDH after 1 Dec. This workshop will highlight recent awards and outline current funding opportunites. In addition to emphasizing grant programs that support individual and collaborative research and education, the workshop will include information on the NEH’s Office of Digital Humanities. A question-and-answer period will follow. Presiding: Carolyn Guertin Univ. of Texas, Arlington; William Thompson Western Illinois Univ. This session intends not to bury publishing but to raise awareness of its transformations and continuities as it reconfigures itself. New platforms are causing publishers to return to their roots as booksellers while booksellers are once again becoming publishers. Open-access models of publishing are creating new models for content creation and distribution as small print-focused presses are experiencing a renaissance. Come see! In 2010 the Executive Council appointed a working group to explore the state of the doctoral dissertation: How can it adapt to digital innovation, open access, new concepts of “authorship”? What counts as scholarship in the world today? How do we address the national problems of cost and time to degree? This roundtable will offer members of the working group an opportunity to make the case that as we shift the terminology from scholarly publication to scholarly communication we need to expand the forms of the dissertation and to reconceptualize what the dissertation is and how it can prepare graduates for academic careers in the coming decades. Presiding: Barbara Lafford Arizona State Univ. “Narrative Expression and Scientific Method in Online Gaming Worlds,” Steven Thorne Portland State Univ. “Olympics 2012 and Victorian Poetry for All Time,” Margaret Linley, Simon Fraser Univ. Presiding: Katherine D. Harris San José State Univ. Presiding: Alison Shonkwiler Rhode Island Coll. Responding: Seth Perlow Cornell Univ. For abstracts, visit http://ach.org/ach-sessions-2012-mla-convention after 1 Dec. This roundtable will include projects that show how notions of the literary (narrative, method, and theory) can be fundamentally reconfigured by digital (con)texts. 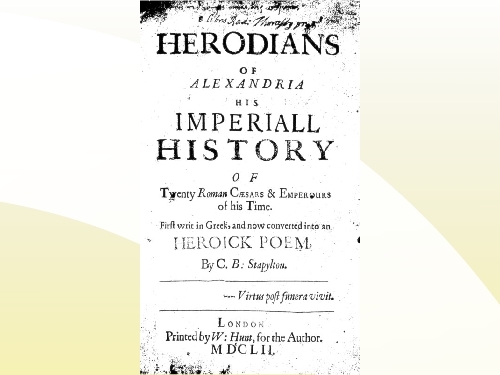 “Debating Form: Enlightenment Serial Publishing as Prehistory?,” Richard Squibbs DePaul Univ. “Professors in Public,” Susan H. Lurie Rice Univ. Responding: Hortense Jeanette Spillers Vanderbilt Univ. The objective of this roundtable is to facilitate interactions between digital humanists and writing studies scholars who, despite shared interests in digital authorship, intellectual property, peer review, classroom communication, and textual revision, have often failed to collaborate. An extended period for audience involvement has been designed to seed partnerships beyond the conference. Presiding: Xiaoping Song Norwich Univ. “Adaptation: Rewriting Modern Chinese Literary Masterpieces,” Paul Manfredi Pacific Lutheran Univ. “Technology and Teaching Chinese Literature in Translation,” Keith Dede Lewis and Clark Coll. For abstracts, write to xsong@norwich.edu. “Steampunk Wells: Game Design as Narrative Pedagogy,” Jay Clayton Vanderbilt Univ. Presiding: Robert H. Kieft, Occidental Coll. For abstracts, visit www.wiu.edu/users/wat100/2012/ after 1 Dec. The speakers will discuss the preservation of texts as a core purpose of libraries, engaging questions regarding the tasks of deciding what materials to preserve and when and which to let go: best practices; institutional and collective roles for the preservation of materials in various formats; economics and governance structures of preserving materials; issues of tools, standards, and platforms for digital materials. For abstracts, visit faulknersociety.com/panels.htm after 15 Dec.
Presiding: Priscilla B. Wald, Duke Univ. “The Meta Teacher,” Bulbul Tiwari, Stanford Univ. This session features innovative advanced doctoral students and junior scholars who are making their mark as scholars and as teachers using new interactive, multimedia technologies of writing and publishing in their research and classrooms. The panelists cross the boundaries of the humanities, arts, sciences, and technology and are committed to new forms of scholarship and pedogogy. They practice the virtues of open, public, digitally accessible thinking and represent the vibrancy of our profession. Fiona Barnett, Duke Univ., will coordinate live Twitter feeds and other input during the session. Presiding: Lauren Klein Georgia Inst. of Tech. “Slave Narratives in Space: Mapping the World of Venture Smith,” Cameron Blevins Stanford Univ. “Giacomo Leopardi’s Zibaldone: From Card Index to Hypertext,” Silvia Stoyanova Princeton Univ. For abstracts, write to mmarchesini@tamu.edu after 19 Dec. Speakers: Douglas M. Armato, Univ. of Minnesota Press; Harriett Green, Univ. of Illinois, Urbana; Dean J. Smith, Project MUSE; Pierre A. Walker, Salem State Univ. This roundtable addresses the veritable explosion of emerging technologies (Google Books, Wikipedia, and e-readers) currently available to faculty members to enhance their scholarly research and how these resources are altering fundamentally the method of scholarly research. The session also wishes to examine access to these technologies and how they interact with the traditional research library and the still meaningful role, if any, it plays in scholarly research. Presiding: Mahli Xuan Mechenbier, Kent State Univ. “Reenvisioning and Renovating the Twenty-First-Century Business Communication Classroom,” Lara Smith-Sitton, Georgia State Univ. New theories of editing have broadened the approaches available to editors of scholarly editions. Noteworthy amongst these are the changes brought about by editing for digital publication. New methods for digital scholarship, forms of editions, theories informing digital publication, and tools offer exciting alternatives to traditional notions of the scholarly edition. Presiding: Lloyd P. Pratt, Univ. of Oxford, Linacre Coll. “Missing Links; or, Girls of Today, Archives of Tomorrow,” William A. Gleason, Princeton Univ. 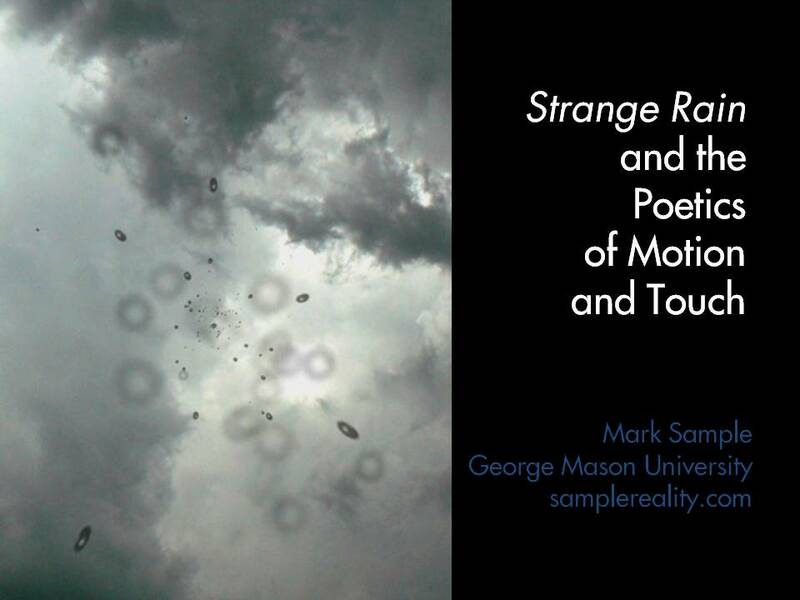 “Strange Rain and the Poetics of Motion and Touch,” Mark L. Sample George Mason Univ. This roundtable brings together various perspectives on alternative academic careers from professionals in digital humanities centers, libraries, publishing, and humanities labs. Speakers will discuss how and whether digital humanities is especially suited to fostering non-tenure-track positions and how that translates to the role of alt-ac in digital humanities and the academy. Related session: “#alt-ac: The Future of ‘Alternative Academic’ Careers” (595). Presiding: Carol DeBoer-Langworthy, Brown Univ. ” Everything Old Is New Again: The Digital Past and the Humanistic Future,” Alison Byerly Middlebury Coll. “Digital Tunnel Vision: Defining a Rhetorical Situation,” David Robert Gruber North Carolina State Univ. “Digital Humanities Authorship as the Object of New Media Studies,” Victoria E. Szabo Duke Univ. Speakers: Donald Brinkman, Microsoft Research; Neil Fraistat, Univ. of Maryland, College Park; Robert Gibbs, Univ. of Toronto; Charles Henry, Council on Library and Information Resources; Bethany Nowviskie; Jason C. Rhody, National Endowment for the Humanities; Elliott Shore, Bryn Mawr Coll. In increasing numbers, scholars are pursuing careers as “alternative academics”—embracing hybrid and non-tenure-track positions in libraries, presses, humanities and cultural heritage organizations, and digital labs and centers. Speakers represent organizations helping to craft alternatives to the traditional academic career. Related session: “#alt-ac: Alternative Paths, Pitfalls, and Jobs in the Digital Humanities” (539). 1. “The New Normal of Public Health Research by Technical Communication Professionals,” Thomas Barker Texas Tech Univ. For abstracts, write to bill_klein@umsl.edu. Presiding: Meg Roland, Marylhurst Univ. “Aesthetic Literacy and Interdisciplinary Vocabularies,” M. Stephanie Murray, Carnegie Mellon Univ. “Curricular Challenges, Pedagogical Opportunities: Charting Modernism across Departmental Boundaries,” David M. Ball, Dickinson Coll. ; Elizabeth Lee, Dickinson Coll. “Text:Image Visual Studies in the English Department,” Perrin Maurine Kerns, Marylhurst Univ. “Mapping the Antebellum Culture of Reprinting,” Ryan Cordell, Saint Norbert Coll. For abstracts, write to mroland@marylhurst.edu. Presiding: Mark Bresnan New York Univ. “Enter eBay: Representations of the Digital Everyday in Jonathan Lethem’s Chronic City,” Zara Dinnen Univ. of London, Birkbeck Coll. “@Margaret Atwood: Interactive Media and the Management of Literary Celebrity,” Lorraine M. York McMaster Univ. For abstracts and discussion, visit dhdebatesmla12.wordpress.com/. “Gertrude’s Glee and Jazz Mislaid Jazz,” Judith A. Roof, Rice Univ. “‘Come to Paris Where You Can Be Looked After’: Paul Bowles Remediates Gertrude Stein,” Christopher Leslie, Polytechnic Inst. of New York Univ. Presiding: Charles M. Tung Seattle Univ. ; Benjamin Widiss Princeton Univ. Speakers: Paul Benzon, Temple Univ., Philadelphia; Cara Elisabeth, Ogburn Univ. of Wisconsin, Milwaukee; Charles M. Tung; Benjamin Widiss; Zachary Zimmer, Virginia Polytechnic Inst. and State Univ. For abstracts, write to bwidiss@princeton.edu. Is there gravity in digital worlds? Moving beyond both lamentations and celebrations of the putatively free-floating informatic empyrean, this roundtable will explore the ways in which representations in myriad digital platforms—verbal, visual, musical, cinematic—might bear the weight of materiality, presence, and history and the ways in which bodies—both human and hardware—might be recruited for or implicated in the effort. 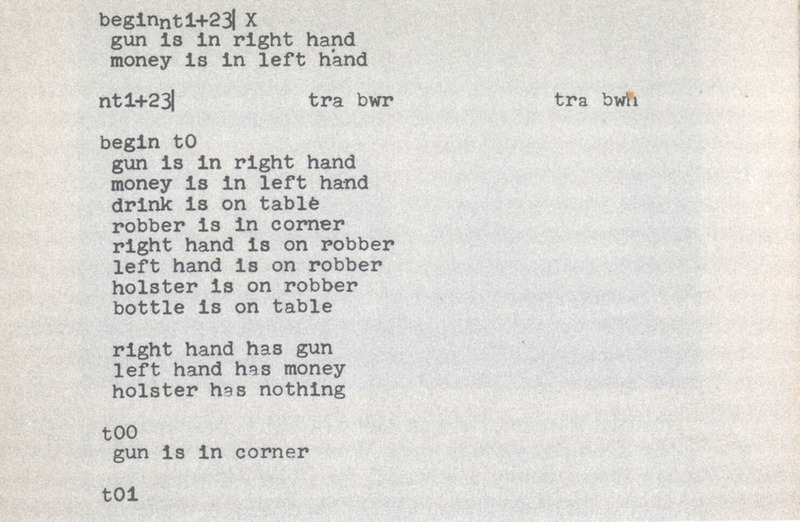 “Computing Language and Poetry,” Nick Montfort Massachusetts Inst. of Tech. Presiding: Mark L. Sample George Mason Univ. For abstracts, visit www.samplereality.com/mla12 after December 1. Roundtable on the theoretical, practical, and institutional issues surrounding the transformation of print-era texts into digital forms for scholarly use. What forms of editing need to be done, and by whom? What new research questions are becoming possible? How will the global digital library change professional communication? What is the future of the academic research library? How can we make sustainable digital textual resources for literary studies? I’m going to step around Ramsay’s argument here (though I recommend reading the thoughtful discussion that ensued on Ramsay’s blog). I mention Ramsay simply as an illustrative example of the various tensions within the digital humanities. There are others too: teaching vs. research, universities vs. liberal arts colleges, centers vs. networks, and so on. I see the presence of so many divides—which are better labeled as perspectives—as a sign that there are many stakeholders in the digital humanities, which is a good thing. We’re all in this together, even when we’re not. I’ve always believed that these various divides, which often arise from institutional contexts and professional demands generally beyond our control, are a distracting sideshow to the true power of the digital humanities, which has nothing to do with production of either tools or research. The heart of the digital humanities is not the production of knowledge; it’s the reproduction of knowledge. I’ve stated this belief many ways, but perhaps most concisely on Twitter: [blackbirdpie url=”http://twitter.com/samplereality/statuses/26563304351″]The promise of the digital is not in the way it allows us to ask new questions because of digital tools or because of new methodologies made possible by those tools. The promise is in the way the digital reshapes the representation, sharing, and discussion of knowledge. We are no longer bound by the physical demands of printed books and paper journals, no longer constrained by production costs and distribution friction, no longer hampered by a top-down and unsustainable business model. And we should no longer be content to make our work public achingly slowly along ingrained routes, authors and readers alike delayed by innumerable gateways limiting knowledge production and sharing. I was riffing on these ideas yesterday on Twitter, asking, for example, what’s to stop a handful of of scholars from starting their own academic press? It would publish epub books and, when backwards compatibility is required, print-on-demand books. Or what about, I wondered, using Amazon Kindle Singles as a model for academic publishing. Imagine stand-alone journal articles, without the clunky apparatus of the journal surrounding it. If you’re insistent that any new publishing venture be backed by an imprimatur more substantial than my “handful of scholars,” then how about a digital humanities center creating its own publishing unit? It’s with all these possibilities swirling in my mind that I’ve been thinking about the MLA’s creation of an Office of Scholarly Communication, led by Kathleen Fitzpatrick. I want to suggest that this move may in the future stand out as a pivotal moment in the history of the digital humanities. It’s not simply that the MLA is embracing the digital humanities and seriously considering how to leverage technology to advance scholarship. It’s that Kathleen Fitzpatrick is heading this office. One of the founders of MediaCommons and a strong advocate for open review and experimental publishing, Fitzpatrick will bring vision, daring, and experience to the MLA’s Office of Scholarly Communication. I have no idea what to expect from the MLA, but I don’t think high expectations are unwarranted. I can imagine greater support of peer-to-peer review as a replacement of blind review. I can imagine greater emphasis placed upon digital projects as tenurable scholarship. I can imagine the breadth of fields published by the MLA expanding. These are all fairly predictable outcomes, which might have eventually happened whether or not there was a new Office of Scholarly Communication at the MLA. But I can also imagine less predictable outcomes. More experimental, more peculiar. Equally as valuable though—even more so—than typical monographs or essays. I can imagine scholarly wikis produced as companion pieces to printed books. I can imagine digital-only MLA books taking advantage of the native capabilities of e-readers, incorporating videos, songs, dynamic maps. I can image MLA Singles, one-off pieces of downloadable scholarship following the Kindle Singles model. I can imagine mobile publishing, using smartphones and GPS. I can imagine a 5,000-tweet conference backchannel edited into the official proceedings of the conference backchannel. There are no limits. And to every person who objects, But, wait, what about legitimacy/tenure/cost/labor/& etc, I say, you are missing the point. Now is not the time to hem in our own possibilities. Now is not the time to base the future on the past. 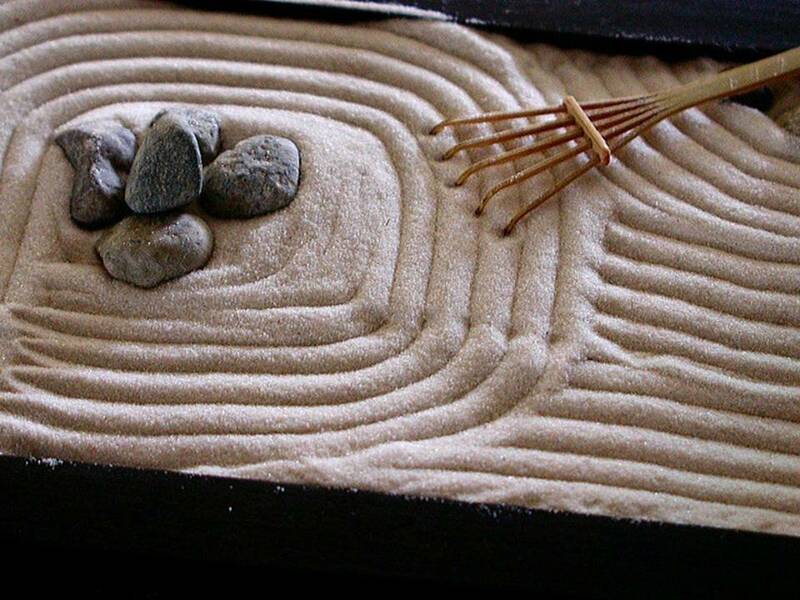 Now is not the time to be complacent, hesitant, or entrenched in the present. William Gibson has famously said that “the future is already here, it’s just not very evenly distributed.” With the digital humanities we have the opportunity to distribute that future more evenly. We have the opportunity to distribute knowledge more fairly, and in greater forms. The “builders” will build and the “thinkers” will think, but all of us, no matter where we fall on this false divide, we all need to share. Because we can. This roundtable is particularly noteworthy in two ways. First, it’s a departure from the typical conference model in the humanities, namely three speakers each reading twenty-minute essays at an audience, followed by ten minutes of posturing and self-aggrandizement thinly disguised as Q&A. Instead, each speaker on the “Close Playing” roundtable will briefly (no more than six minutes each) lay out opening remarks or provocations, and then we’ll invite the audience to a long open discussion. 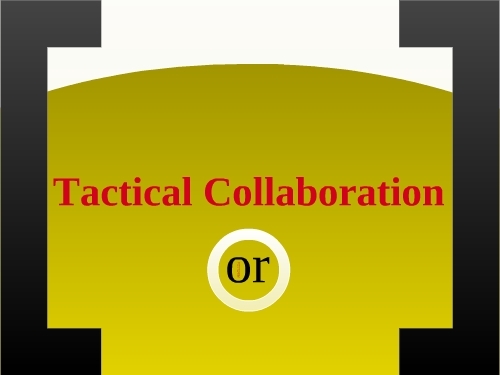 Last year’s Open Professoriate roundtable followed a similar model, and the level of collegial dialogue between the panelists and the audience was inspiring (and even newsworthy)—and I hope the “Close Playing” roundtable can emulate that success. How is it possible that I am the only person talking about videogames at #MLA11? This is not to say there isn’t an interest in videogames at the MLA; indeed, I am convinced from the conversations I’ve had at the conference that there’s a real hunger to discuss games and other media forms that draw from the same cultural well as storytelling. Partly in the interest of promoting the critical study of videogames, and partly to serve as a successful model for future roundtable proposals (which I can assure you, the MLA Program Committee wants to see more of), I’m posting the “Close Playing” session proposal here (see also the original CFP). We hope to see you in Seattle in January! Nearly fifteen years ago a contentious debate erupted in the emerging field of videogame studies between self-proclaimed ludologists and the more loosely-defined narratologists. 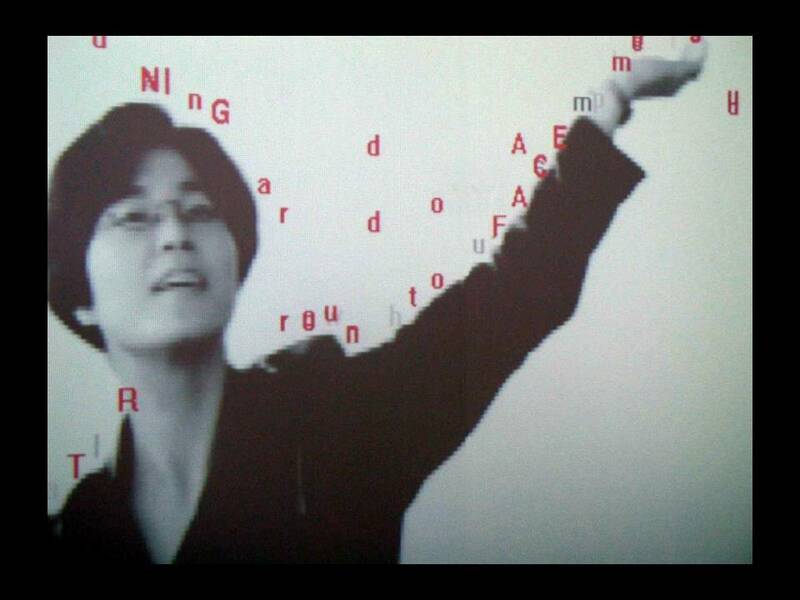 At stake—or so it seemed at the time—was the very soul of videogame studies. 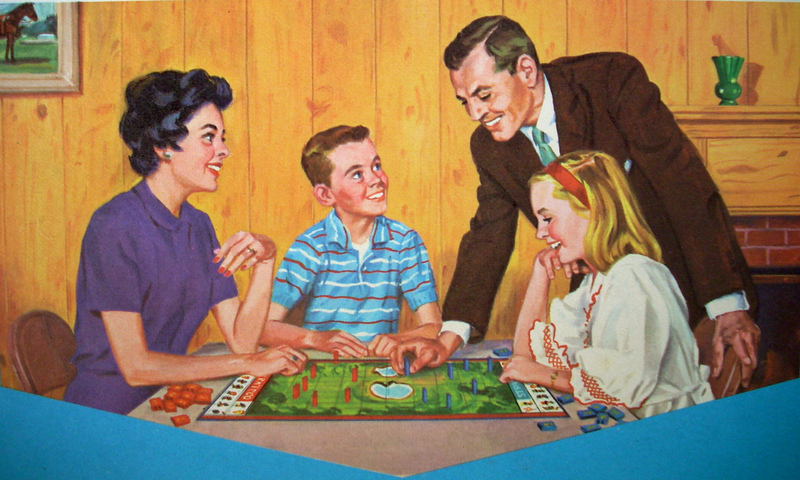 Would the field treat games as a distinct cultural form, which demanded its own theory and methodology? Or were videogames to be considered “texts,” which could be analyzed using the same approaches literary scholars took to poetry, drama, and fiction? Were games mainly about rules, structure, and play? Or did games tell stories and channel allegories? Ludologists argued for the former, while many others defended the latter. The debate played out in conferences, blogs, and the early issues of scholarly e-journals such as Game Studies and Electronic Book Review. In the ensuing years the debate has dissipated, as both sides have come to recognize that no single approach can adequately explore the rich and diverse world of videogames. The best scholarship in the field is equally attune to both the formal and thematic elements of games, as well as to the complex interplay between them. Furthermore, it’s become clear that ludologists mischaracterized literary studies as a strictly New Critical endeavor, a view that woefully overlooks the many insights contemporary literary scholarship can offer to this interdisciplinary field. In the past few years scholars have begun exploring the whole range of possible literary approaches to games. Methodologies adopted from reception studies, reader-response theory, narrative theory, critical race and gender theory, queer studies, disability studies, rhetoric and composition, and textual studies have all contributed in substantive ways to videogames studies. This roundtable will focus on these contributions, demonstrating how various methods of literary studies can help us understand narrative-based games as well as abstract, non-narrative games (for example, Tetris). And as Jameson’s famous mantra “always historicize” reminds us, the roundtable will also address the wider social and historical context that surrounds games. This topic is ideally suited for a roundtable format (rather than a panel of three papers) precisely because of the diversity of approaches, which are well-represented by the roundtable participants. 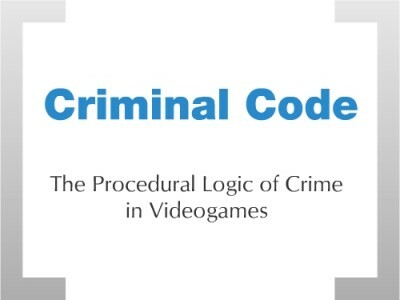 Moreover, each presenter will limit his or her opening remarks to a nonnegotiable six minutes, focusing on the possibilities of one or two specific methodologies for close-reading videogames, rather than a comprehensive close reading of a single game. With six presenters, this means the bulk of the session time (roughly thirty-five minutes) will be devoted to an open discussion, involving both the panel and the audience. “Close Playing: Literary Methods and Videogame Studies” will appeal to a broad swath of the MLA community. While many will find subject of videogames studies compelling enough by itself, the discussion will be relevant to those working in textual studies, media studies, and more broadly, the digital humanities. The need for this roundtable is clear: as we move toward the second decade of videogames studies, the field can no longer claim to be an emerging discipline; the distinguished participants on this panel—with the help of the audience—will survey the current lay of the land in videogame studies, but more importantly, point the way forward. A roundtable discussion of specific approaches and close playings that explore the methodological contribution of literary studies toward videogame studies. 300-word abstract and 1-page bio to Mark Sample (samplereality@gmail.com) by March 15. All participants must be MLA members by April 7. Also note that this is a proposed special session; the MLA Program Committee will have the final say on the roundtable’s acceptance. New media critics such as Nick Montfort and Matthew Kirschenbaum have observed that a certain “screen essentialism” pervades new media studies, in which the “digital event on the screen,” as Kirschenbaum puts it (Kirschenbaum 4), becomes the sole object of study at the expense of the underlying computer code, the hardware, the storage devices, and even the non-digital inputs and outputs that make the digital object possible in the first place. There are a number of ways to remedy this essentialism, and the approach that I want to focus on today is the close reading of code. Frederich Kittler has said that code is the only language that does what it says. But the close reading of code insists that code not only does what it says, it says things it does not do. Like any language, code operates on a literal plane—literal to the machine, that is—but it also operates on an evocative plane, rife with gaps, idiosyncrasies, and suggestive traces of its context. And the more the language emphasizes human legibility (for example, a high-level language like BASIC or Inform 7), the greater the chance that there’s some slippage in the code that is readable by the machine one way and readable by scholars and critics in another. Today I want to close read some snippets of code from Micropolis, the open-source version of SimCity that was included on the Linux-based XO computers in the One Laptop per Child program. 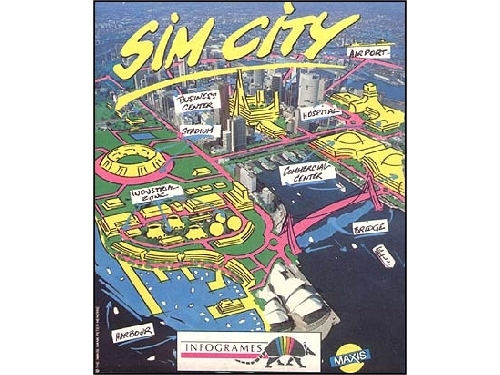 Designed by the legendary Will Wright, SimCity was released by Maxis in 1989 on the Commodore 64, and it was the first of many popular Sim games, such as SimAnt and SimFarm, not to mention the enduring SimCity series of games—that were ported to dozens of platforms, from DOS to the iPad. Electronic Arts owns the rights to the SimCity brand, and in 2008, EA released the source code of the original game into the wild under a GPL License—a General Public License. 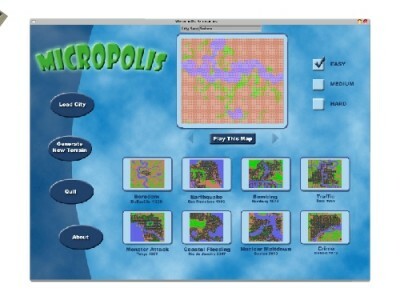 EA prohibited any resulting branch of the game from using the SimCity name, so the developers, led by Don Hopkins, called it Micropolis, which was in fact Wright’s original name for his city simulation. From the beginning, SimCity was criticized for presenting a naive vision of urban planning, if not an altogether egregious one. I don’t need to rehearse all those critiques here, but they boil down to what Ian Bogost calls the procedural rhetoric of the game. By procedural rhetoric, Bogost simply means the implicit or explicit argument a computer model makes. Rather than using words like a book, or images like a film, a game “makes a claim about how something works by modeling its processes” (Bogost, “The Proceduralist Style“). In the case of SimCity, I want to explore a particularly rich site of embedded procedural rhetoric—the procedural rhetoric of crime. I’m hardly the first to think about the way SimCity or Micropolis models crime. Again, these criticisms date back to the nineties. And as recently as 2007, the legendary computer scientist Alan Kay called SimCity a “pernicious…black box,” full of assumptions and “somewhat arbitrary knowledge” that can’t be questioned or changed (Kay). Kay goes on to illustrate his point using the example of crime in SimCity. SimCity, Kay notes, “gets the players to discover that the way to counter rising crime is to put in more police stations.” Of all the possible options in the real world—increasing funding for education, creating jobs, and so on—it’s the presence of the police that lowers crime in SimCity. That is the procedural rhetoric of the game. 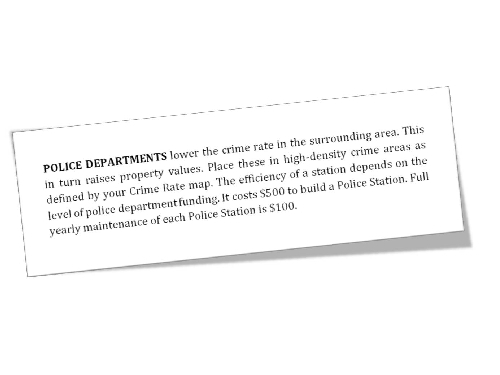 It’s one thing for the manual to propose a relationship between crime, property values, and law enforcement, but quite another for the player to see that relationship enacted within the simulation. Players have to get a feel for it on their own as they play the game. The goal of the simulation, then, is not so much to win the game as it is to uncover what Lev Manovich calls the “hidden logic” of the game (Manovich 222). A player’s success in a simulation hinges upon discovering the algorithm underlying the game. But, if the manual describes the model to us and players can discover it for themselves through gameplay, then what’s the value of looking at the code of the game. Why bother? What can it tell us that playing the game cannot? Before I go any further, I want to be clear: I am not a programmer. I couldn’t code my way out of a paper bag. And this leads me to a crucial point I’d like to make today: you don’t have to be a coder to talk about code. Anybody can talk about code. Anybody can close read code. But you do need to develop some degree of what Michael Mateas has called “procedural literacy” (Mateas 1). 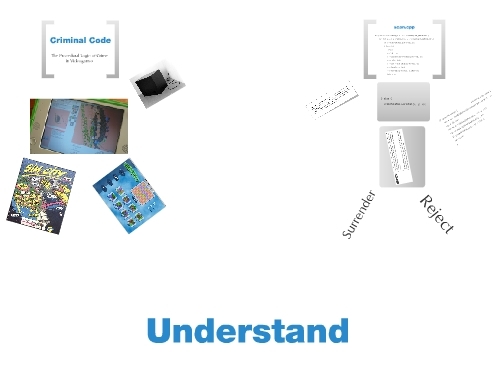 Let’s look at a piece of code from Micropolis and practice procedural literacy. 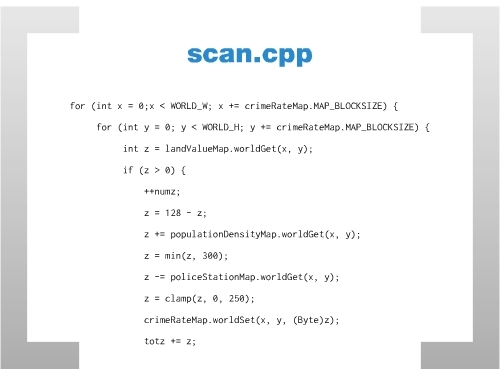 This is a snippet from span.cpp, one of the many sub-programs called by the core Micropolis engine. It’s written in C++, one of the most common middle-level programming languages—Firefox is written in C++, for example, as well as Photoshop, and nearly every Microsoft product. 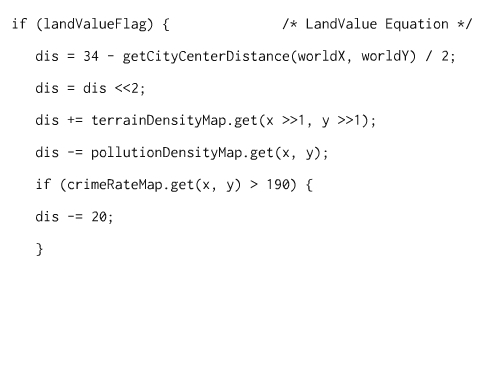 By paying attention to variable names, even a non-programmer might be able to discern that this code scans the player’s city map and calculates a number of critical statistics: population density, the likelihood of fire, pollution, land value, and the function that originally interested me in Micropolis,a neighborhood’s crime rate. This specific calculation appears in lines 413-424. 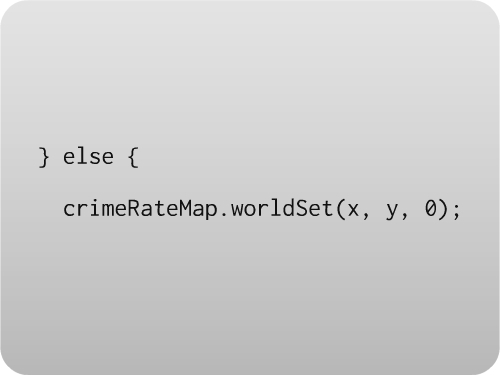 We start off with the crime rate variable Z at a baseline of 128, which is not as random at it seems, being exactly half of 256, the highest 8-bit binary value available on the original SimCity platform, the 8-bit Commodore 64. While the number of police stations lowers Z. So there’s an interesting puzzle I’m trying to get at here. How does looking at the code teach us something new? If the manual describes the process, and the game enacts it, what does exploring the code do? I think back to Sherry Turkle’s now classic work, Life on the Screen, about the relationship between identity formation and what we would now call social media. Turkle spends a great deal of time talking about what she calls, in a Baudrillardian fashion, the “seduction of the simulation.” And by simulations Turkle has in mind exactly what I’m talking about here, the Maxis games like SimCity, SimLife, and SimAnt that were so popular 15 years ago. 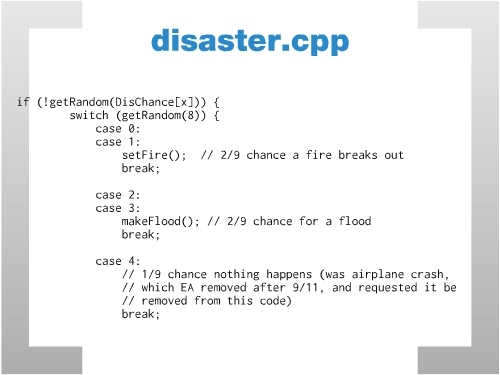 In the midst of rather generic biblical disasters (you see here there’s a 22% chance of a fire, and a 22% chance of a flood), there is a startling excision of code, the trace of which is only visible in the programmer’s comments. In the original SimCity there was a 1 out of 9 chance that an airplane would crash into the city. 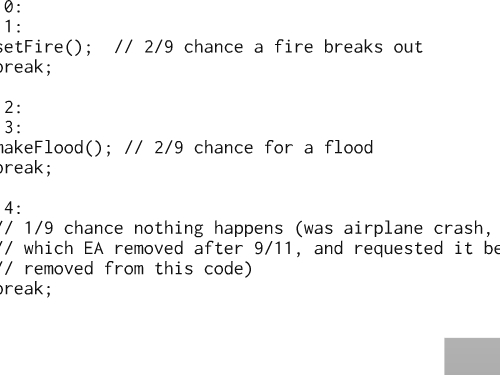 After 9/11 this disaster was removed from the code at the request Electronic Arts. Playing Micropolis, say perhaps as one of the children in the OLPC program, this erasure is something we’d never notice. And we’d never notice because the machine doesn’t notice—it stands outside the procedural rhetoric of the game. It’s only visible when we read the code. And then, it pops, even to non-programmers. We could raise any number of questions about this decision to elide 9/11. There are questions, for example, about the way the code is commented. None of the other disasters have any kind of contextual, historically-rooted comments, the effect of which is that the other disasters are naturalized—even the human-made disasters like Godzilla-like monster that terrorizes an over-polluted city. There are questions about the relationship between simulation, disaster, and history that call to mind Don DeLillo’s White Noise, where one character tells another, “The more we rehearse disaster, the safer we’ll be from the real thing…..There is no substitute for a planned simulation” (196). And finally there are questions about corporate influence and censorship—was EA’s request to remove the airplane crash really a request, or more of a condition? How does this relate to EA’s more recent decision in October of 2010 to remove the Taliban from its most recent version of Medal of Honor? If you don’t know, a controversy erupted last fall when word leaked out that Medal of Honor players would be able to assume the role of the Taliban in the multiplayer game. After weeks of holding out, EA ended up changing all references to the Taliban to the unimaginative “Opposing Force.” So at least twice, EA, and by proxy, the videogame industry in general, has erased history, making it more palatable, or as a cynic might see it, more marketable. I want to close by circling back to Michael Mateas’s idea of procedural literacy. My commitment to critical code studies is ultimately pedagogical as much as it is methodological. I’m interested in how we can teach everyday people, and in particular, nonprogramming undergraduate students, procedural literacy. 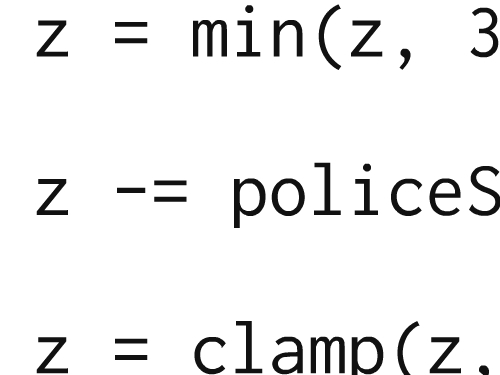 I think these pieces of code from Micropolis make excellent material for novices, and in fact, I do have my videogame studies students dig around in this source code. Most of them have never programmed, let alone in C++, so I give them some prompts to get them started. 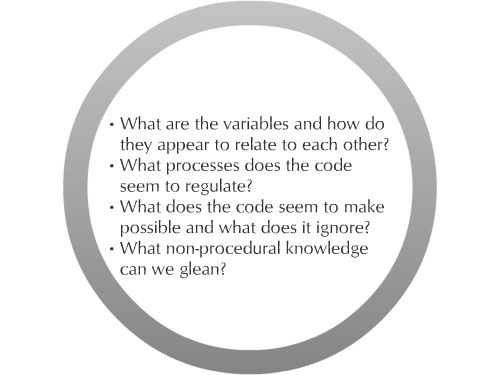 And for you today, here in the audience, I have similar questions, about the snippets of code that I showed, but also questions more generally about close reading digital objects. What other approaches are worth taking? What other games, simulations, or applications have the source available for study, and what might you want to look at with those programs? And finally, what are the limits of reading code from a humanist perspective? Bogost, Ian. “Persuasive Games: The Proceduralist Style.” Gamasutra 21 Jan 2009. Web. 1 Feb 2009. 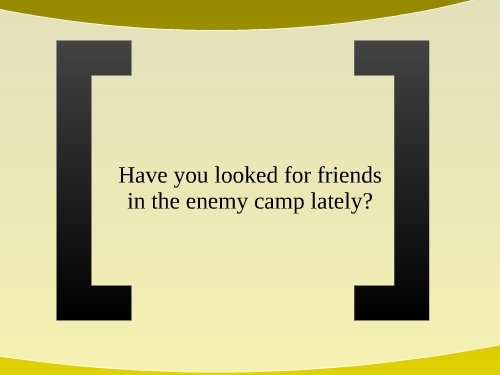 <http://www.gamasutra.com/view/feature/3909/persuasive_games_the_.php?print=1>. DeLillo, Don. White Noise. Penguin, 1985. Print. Kay, Alan. “Discussion with Alan Kay about Visual Programming.” Don Hopkins 16 Nov 2007. Web. 30 Dec 2010. <http://www.donhopkins.com/drupal/node/140>. Kirschenbaum, Matthew. 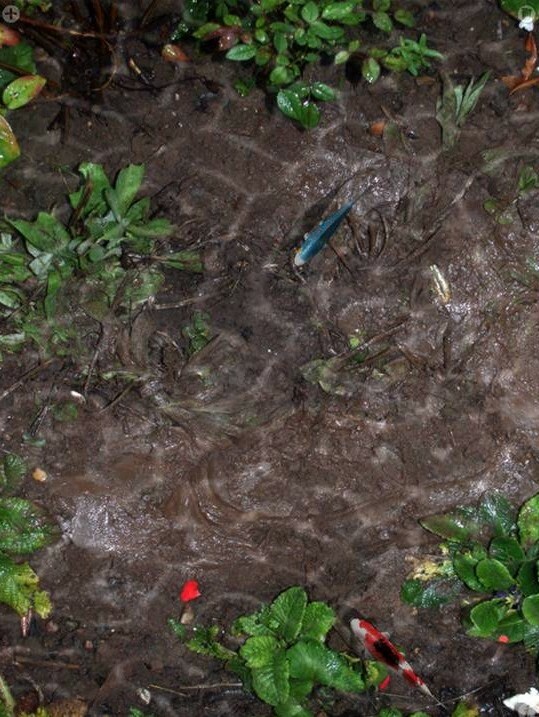 Mechanisms: New Media and the Forensic Imagination. Cambridge Mass. : MIT Press, 2008. Print. Manovich, Lev. The Language of New Media. Cambridge: MIT Press, 2001. Print. Mateas, Michael. “Procedural Literacy: Educating the New Media Practitioner.” Beyond Fun. 2008. 67–83. Print. Montfort, Nick. “Continuous Paper: The Early Materiality and Workings of Electronic Literature.” Philadelphia, PA, 2004. <http: //nickm.com/writing/essays/continuous_paper_mla.html>. Turkle, Sherry. Life on the Screen: Identity in the Age of the Internet. New York: Simon & Schuster, 1995. Print. (1) Greco, Roberto. SimCity. 2008. Web. 4 Jan 2011. <http://www.flickr.com/photos/robertogreco/2380137251/>. (2) Wright, Will. SimCity. Maxis, 1989. Manual. (3) Goldberg, Ken, and Bob Farzin. Dislocation of Intimacy. 1998. San Jose Museum of Art. Web. 14 Jan 2011. 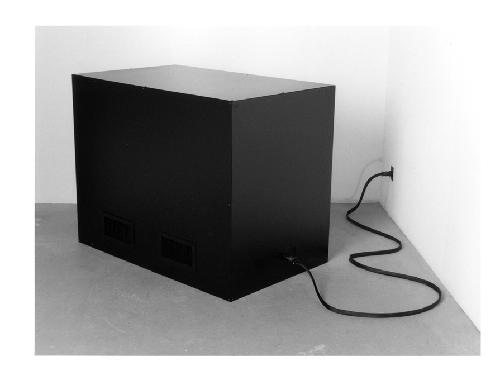 <http://goldberg.berkeley.edu/art/doi.html>. All other images created by the author.